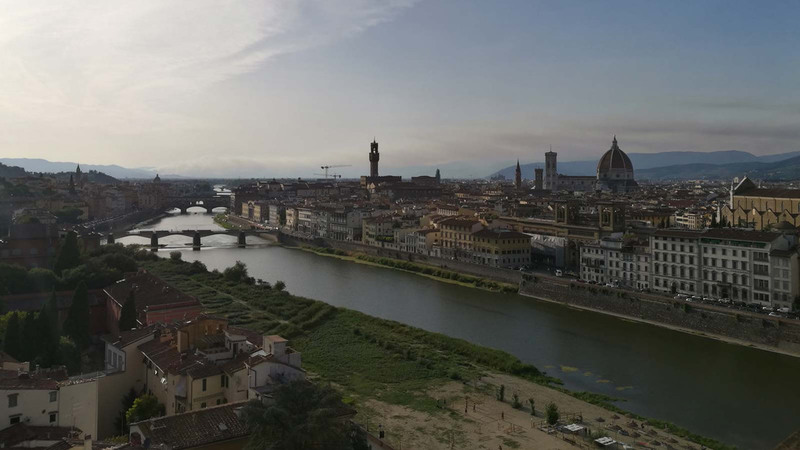 Enjoy this guided tour in the Florence Cathedral and marvel at the best view ever in Florence. Don't miss the Vasari's Last Judgement painting and learn about the secrets of the Cathedral. Climb the Dome and discover its secret on a one-hour guided tour. Are you looking for a great point of view to admire Florence? Would you like to climb one of the best-preserved Domes in the world? This tour fits you perfectly! Enjoy the hiking of one of the most striking cupolas in the world. Face 463 steps to admire a 360° view of the Florentine landscape that is definitely going to impress you. This one-hour guided hiking gives you a special chance of standing above the main attractions of the Medici's city. Furthermore, the tour leads you between the two domes: unveil how the majestic cupolas stand since centuries. Starting from the entrance via "Porta della Mandorla", located on the northern side of the Cathedral, let your guide seduce you with all the stories related to this ancient cathedral. Also, enjoy the Vasari’s “Last Judgment” painting and find out every special detail that makes this depicted one of the most important of 1500, right after the one made by Michelangelo in the Sistine Chapel in Rome. Radio system will be provided in order to hear your guide when you reach the top of the Dome. Entrance tickets to the Museum, Baptistery, Bell Tower, Dome. Piazza del Duomo 11. Don Nino Coffee Bar.